Over the last fifty-two plus years, Moonlite Bar-B-Q has grown into a very special business. In this time of large chains and merged companies Moonlite has grown as a family business. Hugh and Catherine, along with four children and several grandchildren work together to keep things going and growing at a slow, steady rate that now requires a staff of over 120 dedicated members working various facets of the business. These areas now include a 350 seat restaurant, a U.S.D.A. inspected processing plant, an extensive catering department (capable of serving 15 to 15,000 with unparalleled quality and professionalism), a wholesale division serving the region with Barbecue and related products through distributors in a four state area, as well as a busy carryout department. All this from a thirty seat, roadside restaurant in 1963. Voted Best Barbecue In Kentucky, by Kentucky Monthly and Kentucky Living Readers. OWENSBORO, Ky., Jan. 25, 2017 (SEND2PRESS NEWSWIRE) — When Patrick Bosley, manager of the Moonlite Bar-B-Q-Inn, learned that their heritage barbeque restaurant was named as one of 15 of the world’s happiest places in not just the state, but the world, he was equally surprised as he was thrilled. OWENSBORO, Ky., April 27, 2015 (SEND2PRESS NEWSWIRE) — Moonlite Bar-B-Q Inn was recently selected to be part of a permanent exhibit, Trail of Smoke and Fire, in the Southern Food and Beverage Museum in New Orleans. Pappy Bosley’s cleaver and butcher knife, and an original menu from 1963-1965 accompanied by historical photos will be part of the installation. OWENSBORO, Ky., April 24, 2013 (SEND2PRESS NEWSWIRE) — Moonlite Bar-B-Q Inn will be celebrating its fiftieth anniversary with a good, old-fashioned get together in its parking lot on Sunday, April 28 from 4:30 to 7:30 p.m. In the tradition of the Sunday family get-together, no alcohol will be permitted. There will be free sandwiches, soda, chips, ice cream, brownies and cotton candy in addition to live music, balloon twisters and inflatable areas where kids can play. OWENSBORO, Ky. (SEND2PRESS NEWSWIRE) — Moonlite is no secret to lovers of burgoo and barbecue mutton, so it was just another day when NBC Sports called wanting them to cook Burgoo with Chef Bobby Flay for a Kentucky Derby Special. The Bosley Family has been cooking up Kentucky’s traditional soup Burgoo at the Moonlite Bar-B-Q Inn for four generations. OWENSBORO, Ky. (SEND2PRESS NEWSWIRE) — Moonlite Bar-B-Q, a household Kentuckian name, is excited to share its many successes with its loyal employees. That’s why they are hosting an employee reunion on Sunday September 5. Since 1963, Moonlite Bar-B-Q has been a Kentucky tradition. In 2008, it was inducted into the Kentucky Monthly’s Best Hall of Fame after having been previously voted Kentucky’s best barbecue by Kentucky Living. OWENSBORO, Ky. (SEND2PRESS NEWSWIRE) — A Kentucky tradition in Owensboro, Kentucky since 1963, Moonlite was inducted into the Kentucky Monthly’s Best Hall of Fame in 2008, and had previously been voted Kentucky’s best barbecue by Kentucky Living. Now, Kentucky Living readers have voted again and Moonlite was selected the best barbecue in Kentucky. Add that to USA Today claiming Moonlite ‘one of the ten best places to fill up your plate,’ and you get a sense of the tradition smoking in Owensboro. OWENSBORO, Ky. (SEND2PRESS NEWSWIRE) — Because of Moonlite’s stunning set of victories, the Moonlite Bar-B-Q Inn, a Kentucky Tradition in Owensboro Kentucky since 1963, will be inducted into the Kentucky’s Best Hall of Fame; the category of Kentucky’s Best Barbecue will be retired from the magazine’s reader poll. OWENSBORO, Ky. – Sept. 28 (SEND2PRESS NEWSWIRE) — The Moonlite Bar-B-Q Inn, a Kentucky tradition in Owensboro since 1963, was voted the best Barbecue in Kentucky by ‘Kentucky Monthly’ for the third straight year and the fifth out of the last seven years. 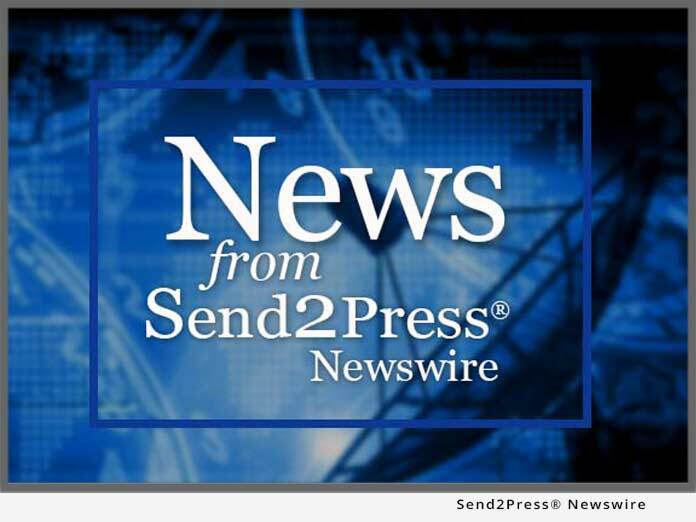 OWENSBORO, KY – Nov. 17 (SEND2PRESS NEWSWIRE) — At No. 15, Moonlite Bar-B-Q Inn’s cookbook: ‘Family Favorites From Moonlite, Recipes That Founded A Kentucky Tradition’ ($18.95, ISBN: 097668960X), was a hit at Kentucky’s Book Fair. Kentucky’s 24th annual book fair hosted 180 authors and 480 books. Moonlite’s journey to become one of the best sellers at the Kentucky Book Fair began years before. OWENSBORO, KY – September 28 (SEND2PRESS NEWSWIRE) — The Moonlite Bar-B-Q Inn, a Kentucky tradition in Owensboro since 1963, was voted the best Barbecue in Kentucky by ‘Kentucky Monthly’ and ‘Kentucky Living’ magazines.